Andover, MA, USA – Greg Sebasky, Chairman, Philips North America, today introduced Philips’ Innovation Fellows competition at the Bloomberg Next Big Thing Summit. Philips is asking people nationwide to submit their ideas for the “next big thing” that will help people live happy, healthier lives. Entrants will have the chance to tap into $100,000 in prize money from Philips, to help bring their innovation to life. To further spur open innovation, entrants can gain financial support for their idea on Indiegogo.com, a global web-based crowd funding site. Living Well: For instance, technology that helps people have a restful sleep or a sense of security at home. Being Healthy: For example, new products or services that enable people to better monitor their family’s health, seek medical treatment, prevent illness and live a healthy lifestyle. Enjoying Life: Ideas that would help provide greater happiness in people’s lives, including being an active part of one’s local community and living independently as one ages. The 2013 Philips Meaningful Innovation Index, which examines satisfaction with current innovations by what is important in people’s lives, discovered Americans want future innovations to have a purpose. In dealing with the stresses of everyday life, Americans are looking for products and services that do more than create technology for technology’s sake. Philips focuses on delivering innovation that matters and supports the public’s ongoing desire for technology to make a real difference in people’s everyday lives. "Indiegogo is committed to helping innovators gain access to funds around the world who can provide validation of their ideas and the financial support they need to make their ideas become reality,” said Slava Rubin, CEO and co-founder of Indiegogo. “We hope this competition will help make 'the next big thing' grow from an idea to a real-world innovation." Starting at noon ET on June 18, interested U.S. residents can begin registering for the competition at www.philips.com/innovationfellows through 11:59 pm ET on August 15. Upon registration approval, individuals and teams will be directed to Indiegogo, where the campaigns will be housed for crowd-funding and social media support. Funding begins August 15, and campaigns will be supported by the public through September 30. A steering committee of Philips executives will determine and announce five finalists mid-October, and Philips employees will vote to determine the grand-prize winner. Each contestant will be judged on a variety of factors, including the feasibility of the idea and how he/she plans to bring it to life; how transparent and specific he/she is about plans to allocate funding to further the project; the extent that the innovation will have a meaningful impact on people’s lives; and the amount of support his/her idea garnered on Indiegogo. The grand-prize winner will be announced October 30 and will receive a $60,000 cash prize from Philips, in addition to the funding raised through Indiegogo, to help bring the innovation to life. Along with the monetary prize, the winner will receive an all-expenses-paid trip to Philips’ USA headquarters to meet with Sebasky and other Philips experts for mentor and whiteboard sessions around their ”next big thing” idea. Each of the remaining four finalists will receive a $10,000 cash prize. 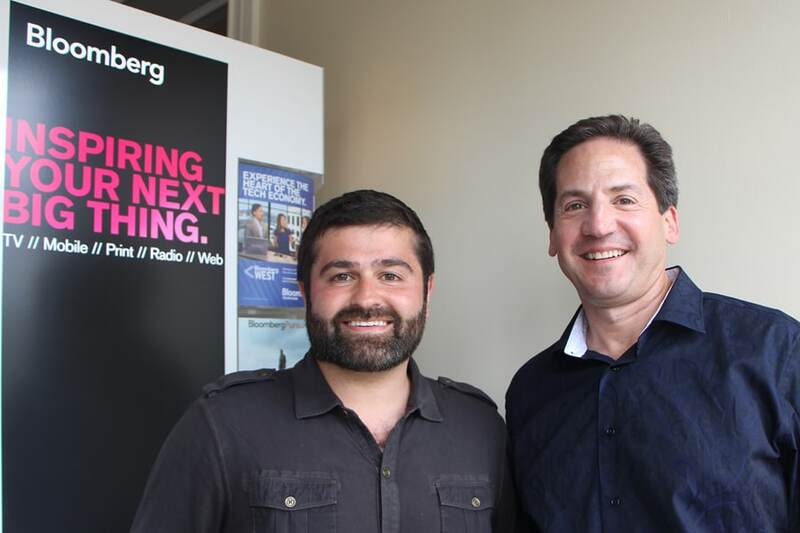 Slava Rubin, CEO of Indiegogo, and Greg Sebasky, Chairman of Philips North America, at Bloomberg&apos;s Next Big Thing where Philips announced its Innovation Fellows Competition, hosted by Indiegogo. Indiegogo empowers people around the world to fund what matters to them. As the largest global crowdfunding platform, campaigns have launched from every country around the world with millions of dollars being distributed every week due to contributions made by the Indiegogo community. At its core, Indiegogo is the equal opportunity platform dedicated to democratizing the way people raise funds for any project – creative, entrepreneurial or cause-related. The company was launched in 2008 and is headquartered in San Francisco, with offices in Los Angeles and New York. For more information, visit www.indiegogo.com and follow us at www.twitter.com/indiegogo and www.facebook.com/indiegogo..